This beautifully appointed high end 4 bedroom townhome will leave you feeling pampered and cared for during your entire stay! A Scandinavian inspired kitchen awaits the chef at heart, while custom made furniture and specially chosen pieces of art welcome you into each room. 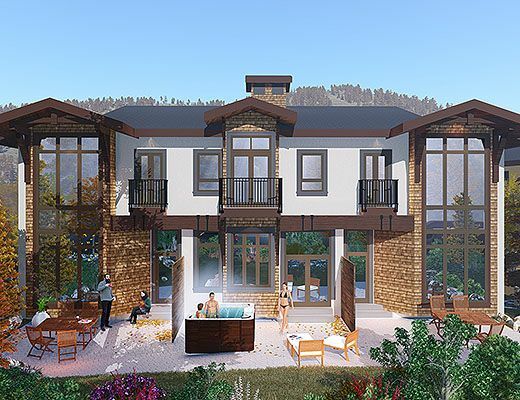 Unwind after a day on the mountain while listening to the subtle tones of McGillivray Creek trickling by as you relax in the private hot tub at the back of the home or in the luxurious bathtub in the large master bedroom ensuite. The owners have gone over and above by adding in-floor heating, on demand hot water, a private hot tub with an ultraviolet system to help reduce the amount of chemicals needed, extra sound-proofing between units and a high end frame-less sofa bed in the 4th bedroom that will leave you feeling refreshed and ready for the next day! If you're traveling with a larger group and you'd all like to be pampered in the same manner, these owners have the perfect solution! Village Walk 8 is located right next door and features all the same luxuries with a slightly different bedding composition! These side-by-side townhomes feature a single set of stairs going to their main level doors, allowing you to stay right next to each other with easy visiting access. 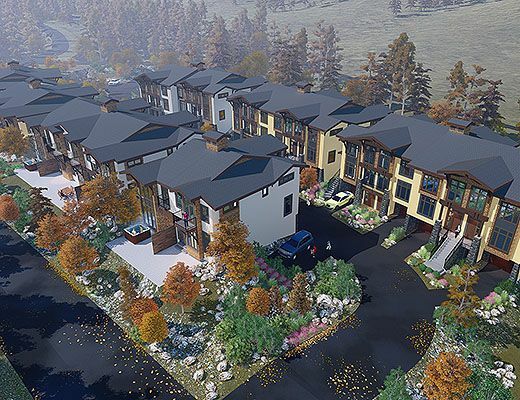 Village Walk is a beautiful luxury townhome development which will be completed in 2019. 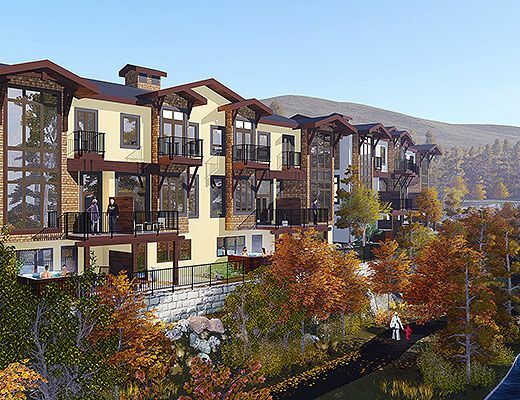 Located just across the street from both the top of the main village and the Sports Complex, they are conveniently situated to provide easy access to all of the restaurants and shops Sun Peaks has to offer. The Village Day Lodge and main ski lifts are just a few minutes walk away at the bottom of the village. Special Note: Village Walk is a luxury townhome development which will be fully completed in the fall of 2018. 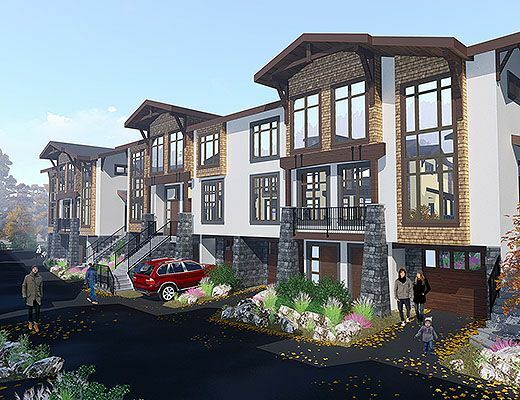 These beautiful homes are conveniently situated to provide easy access to all of the restaurants and shops Sun Peaks has to offer! Pets are admissible upon special request - a pet fee of $100+tax would apply. *4 bedroom and larger chalet properties require a 3 night minimum for all booking periods except Christmas and New Years.